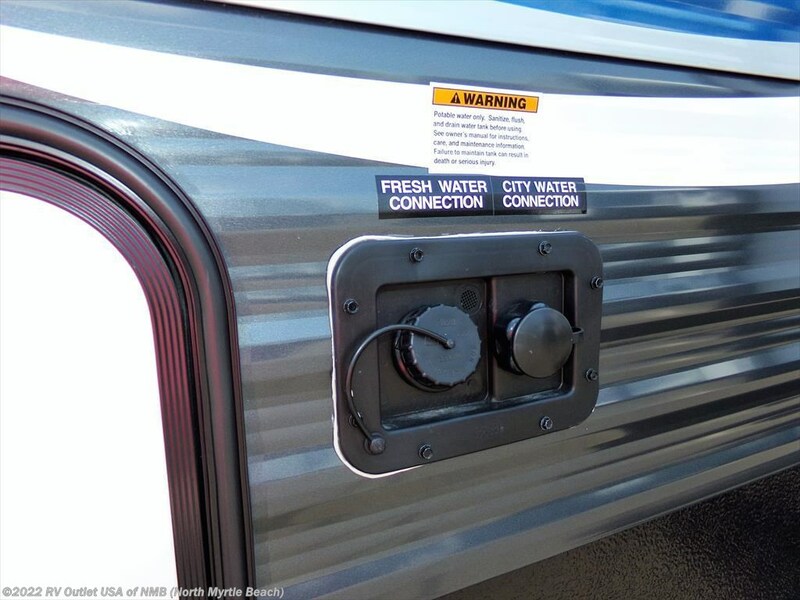 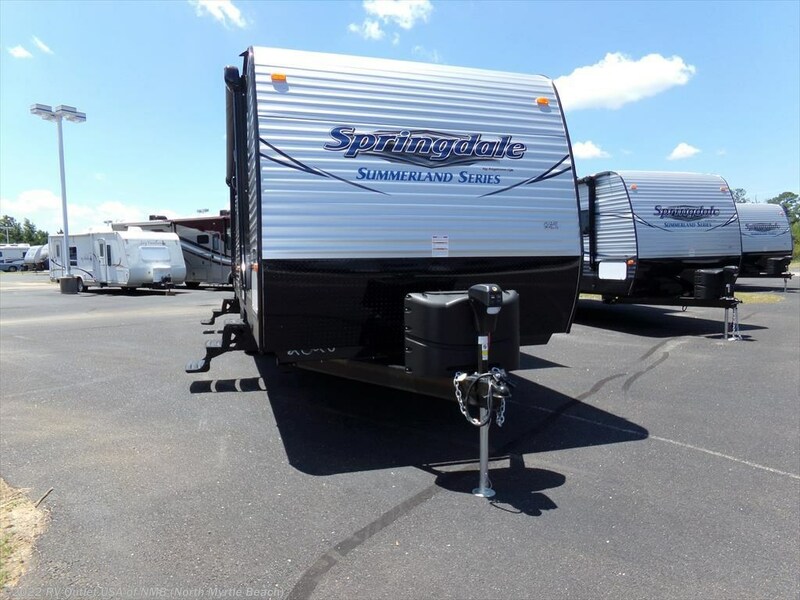 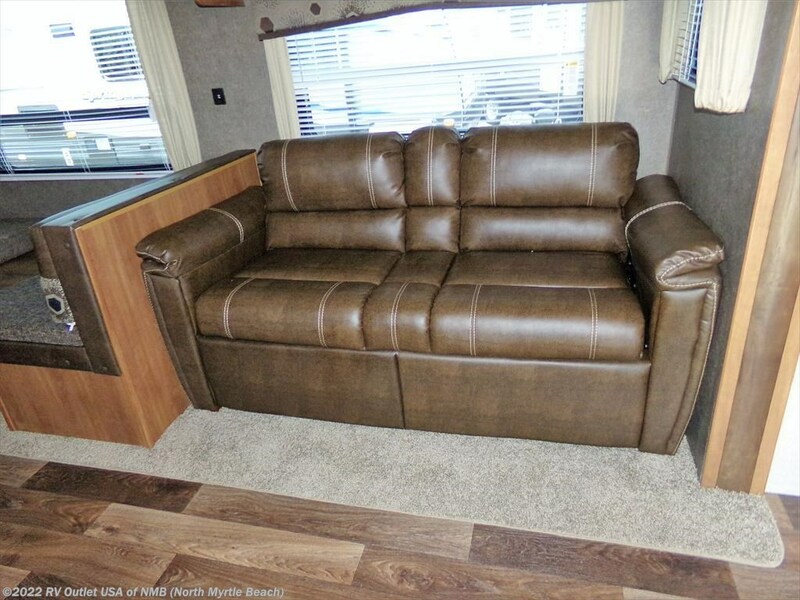 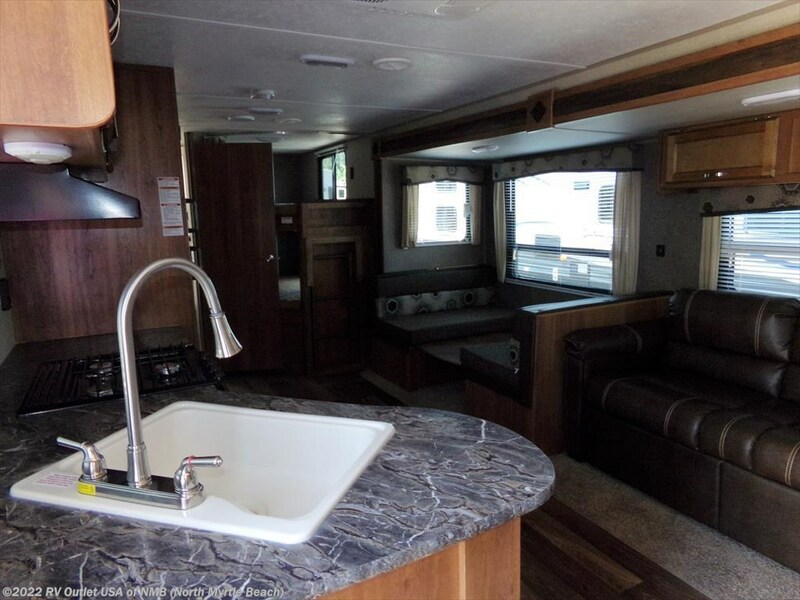 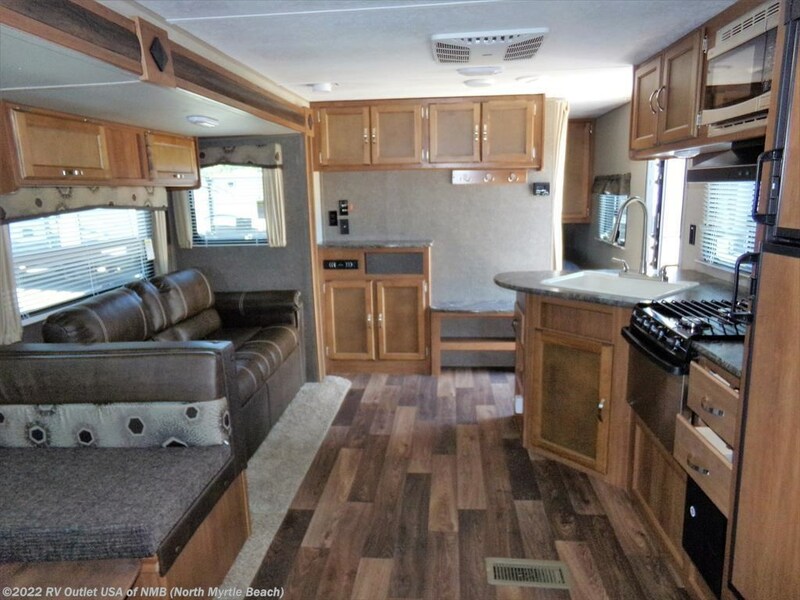 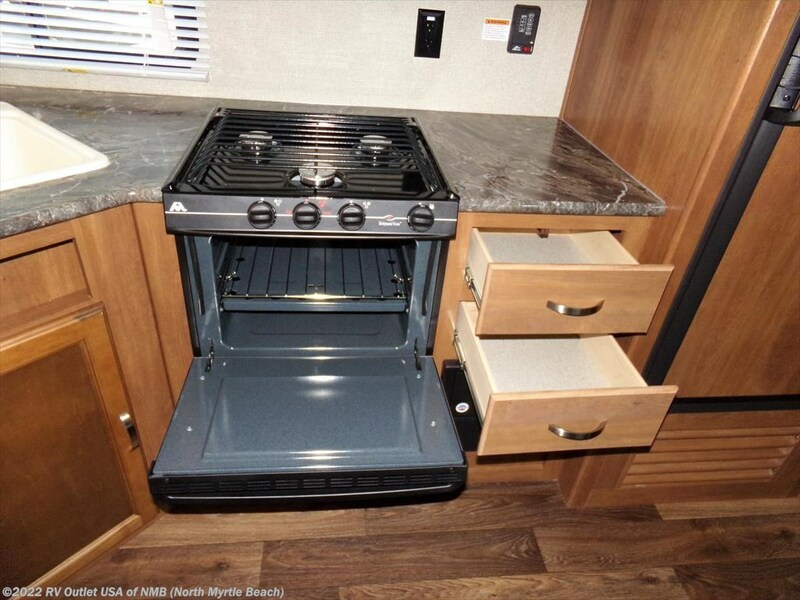 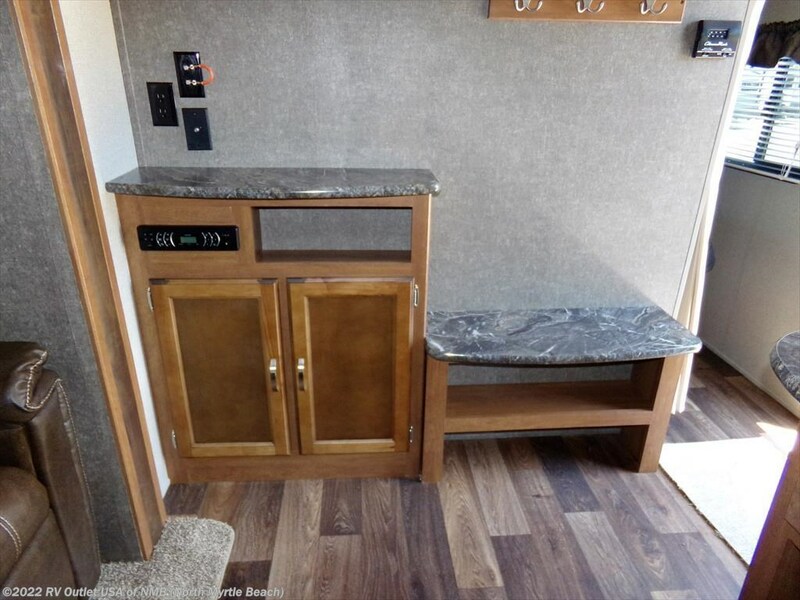 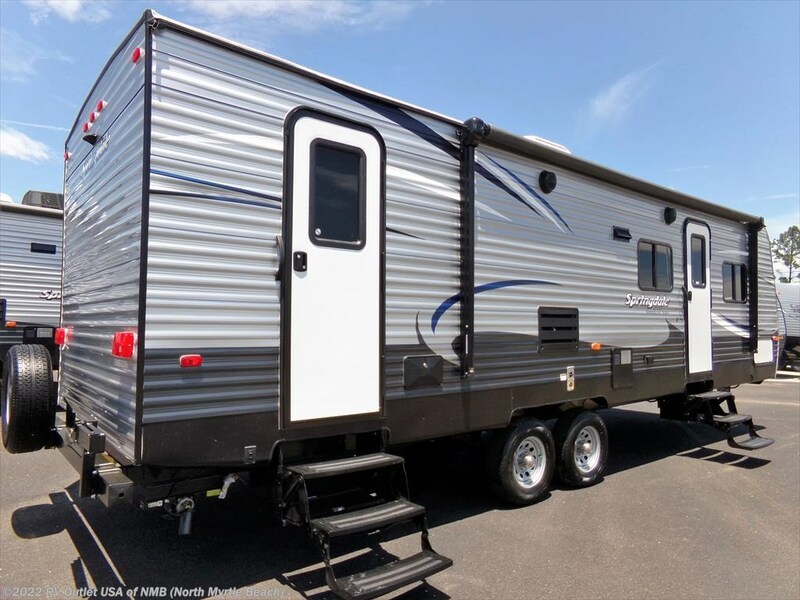 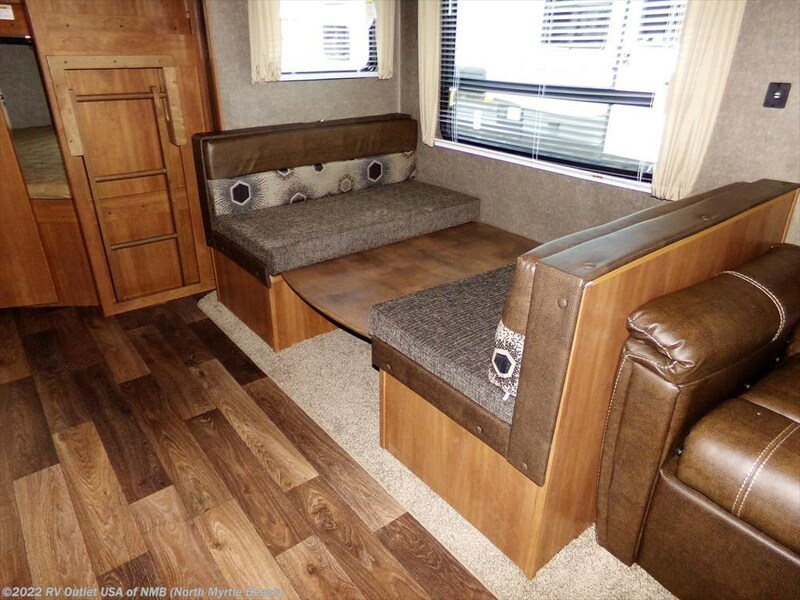 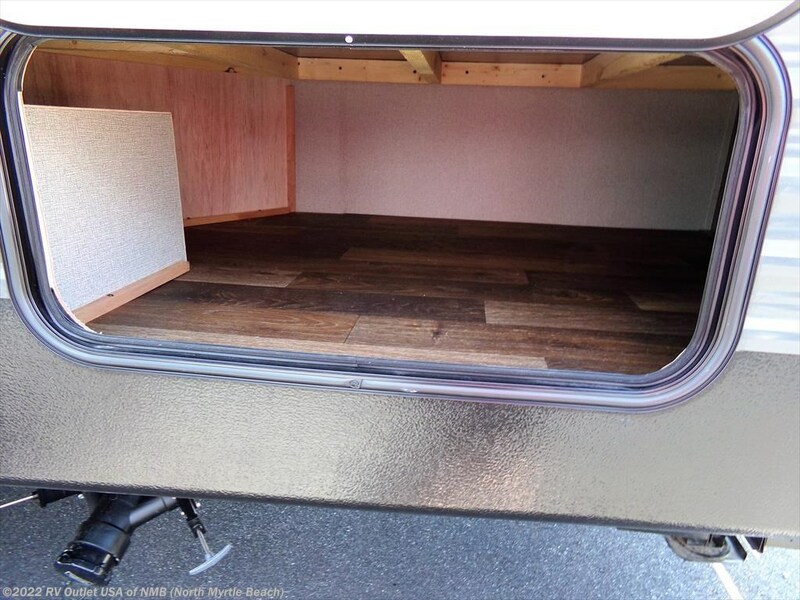 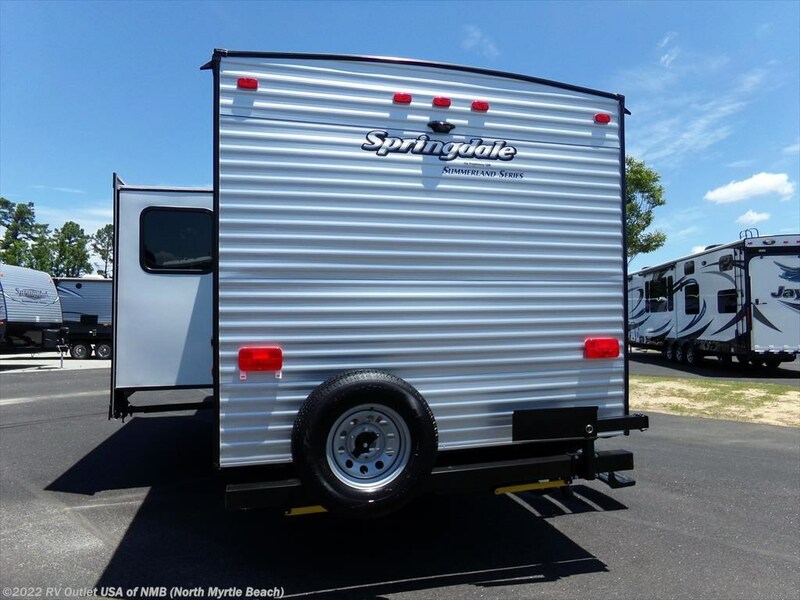 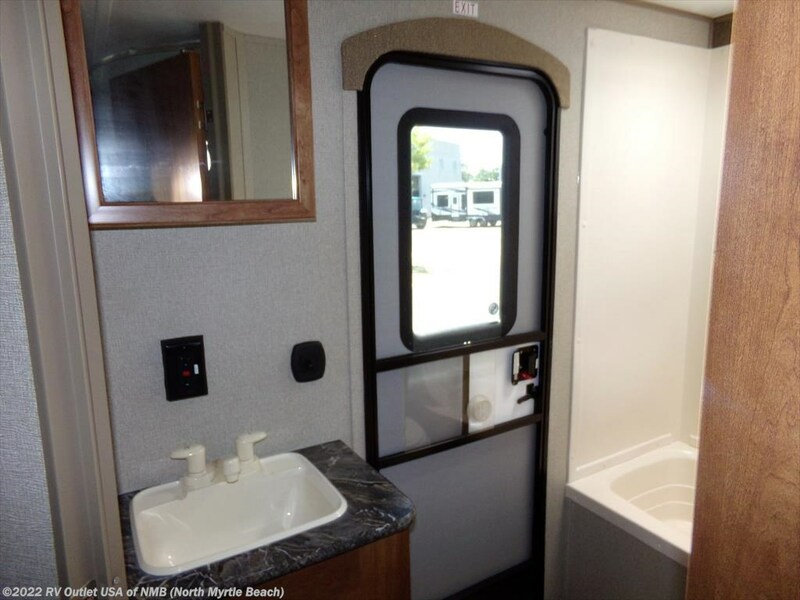 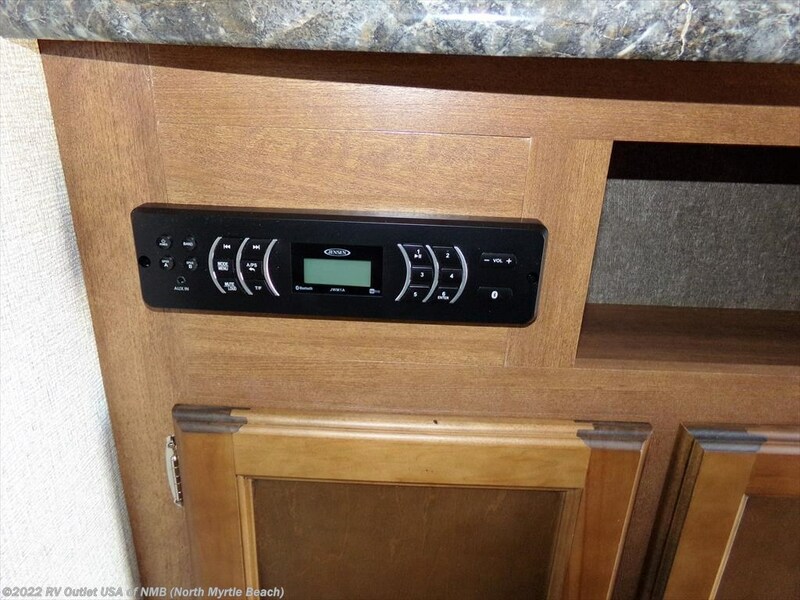 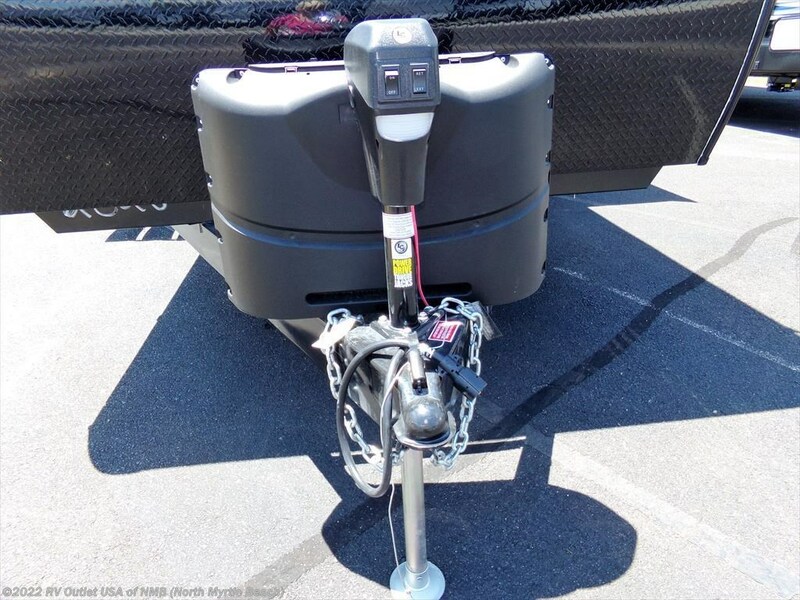 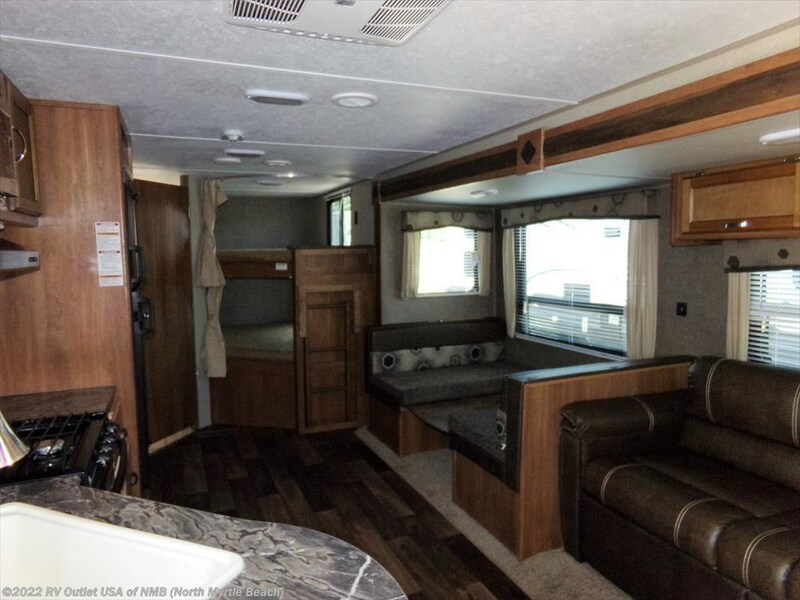 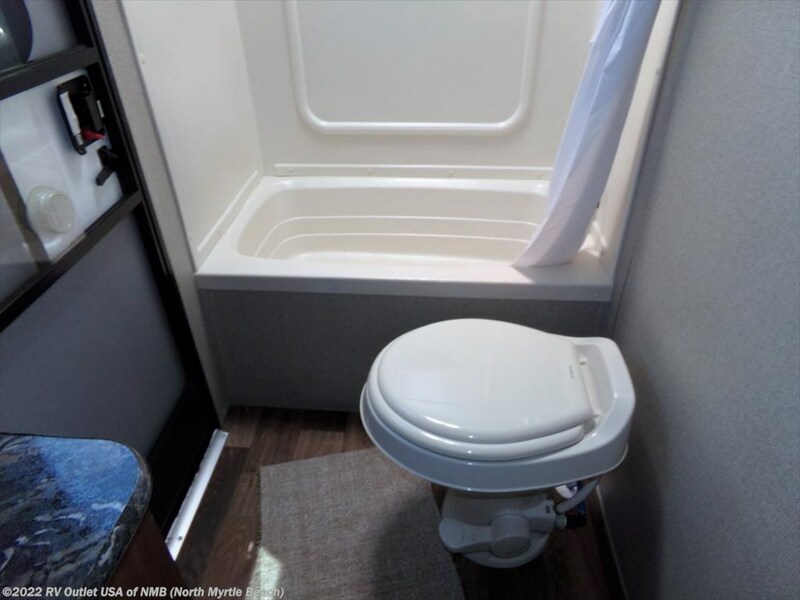 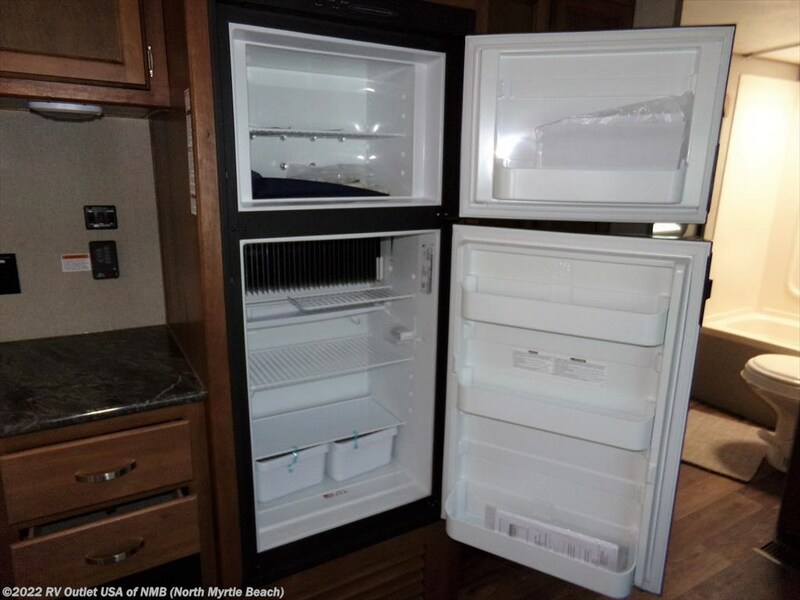 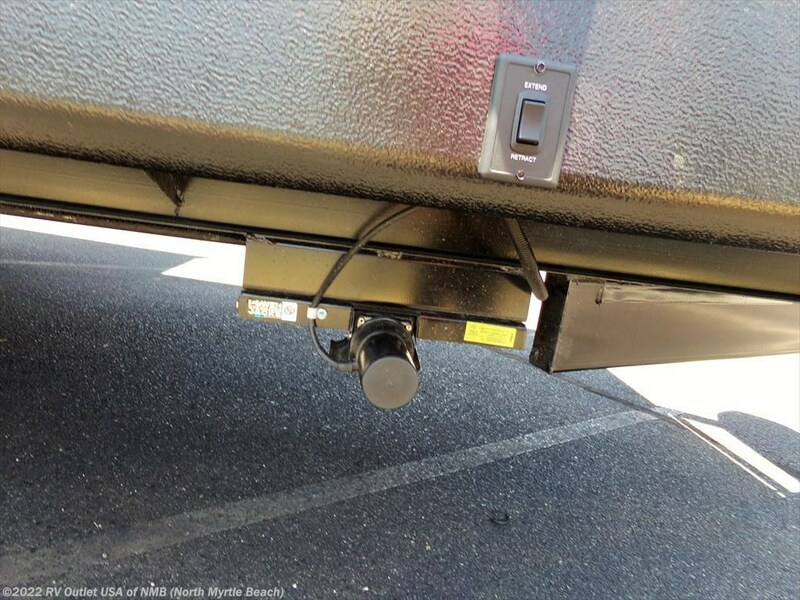 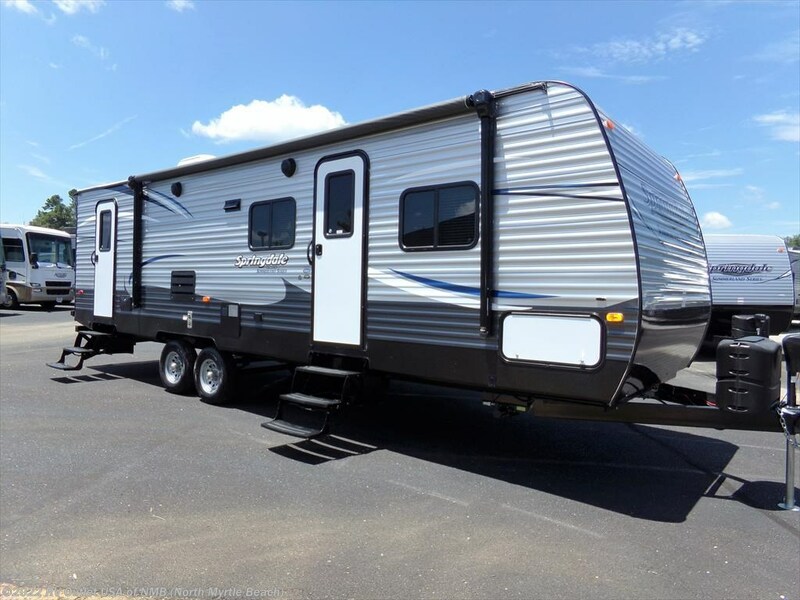 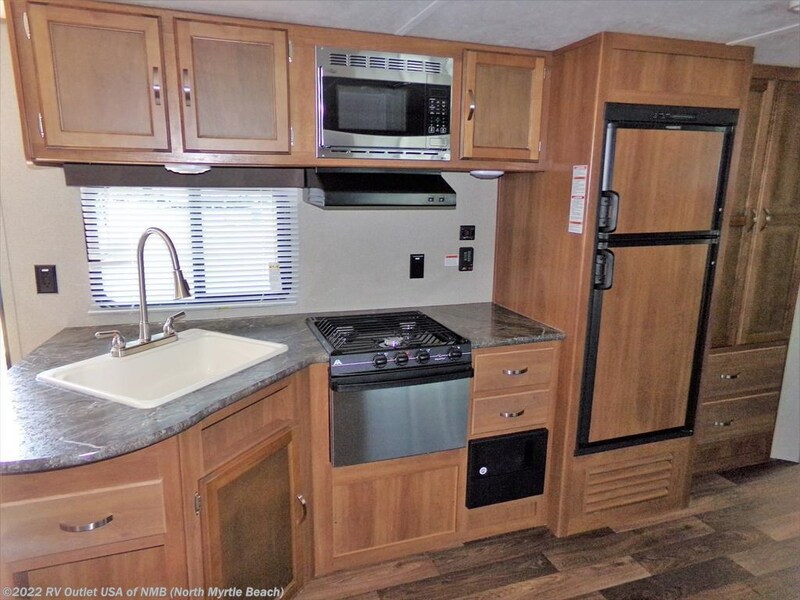 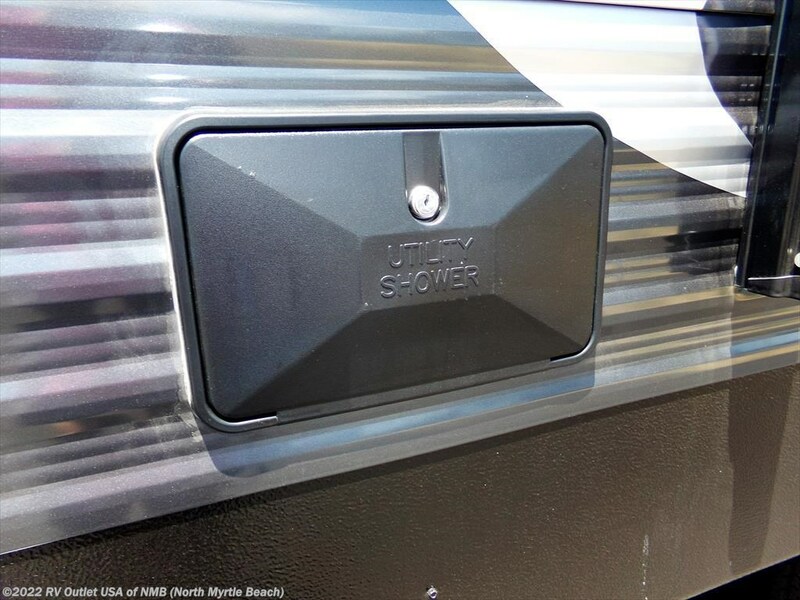 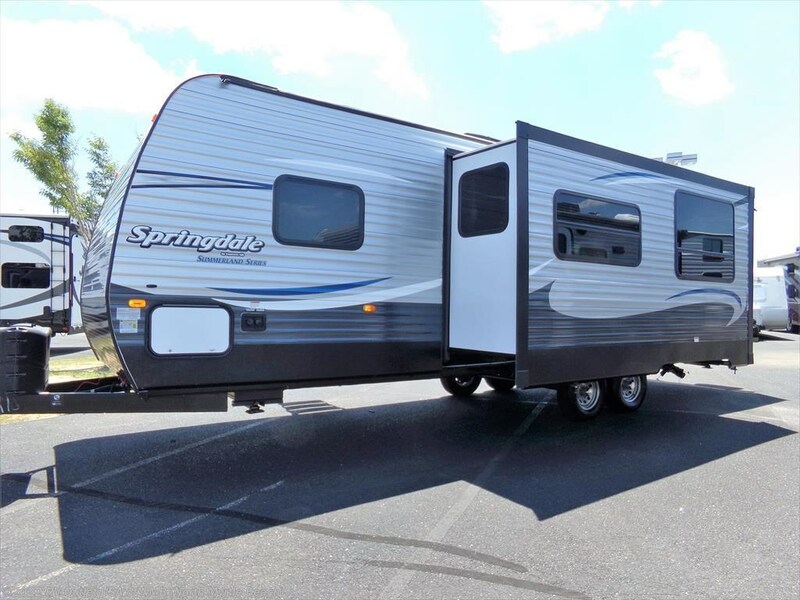 This travel trailer features all the comforts of home with its open floor plan with center kitchen and center living.There is plenty of counter and cabinets throughout this RV. 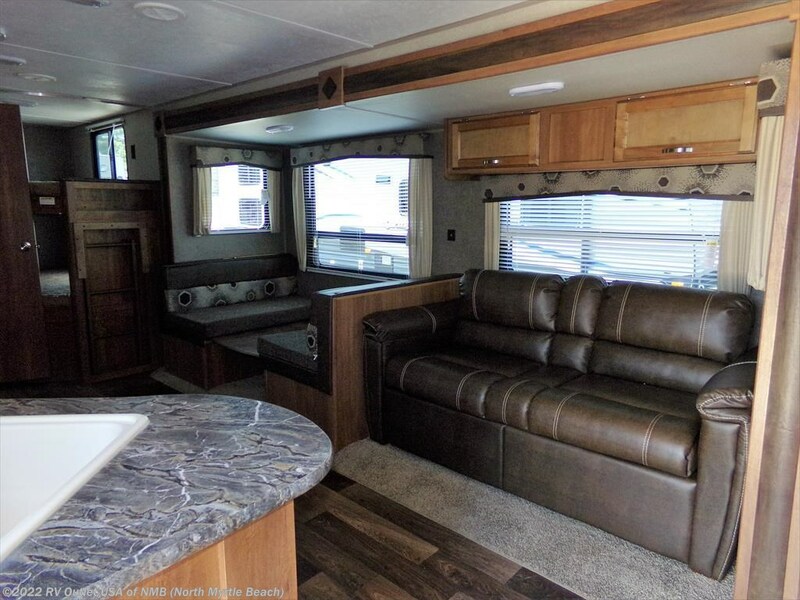 The main living area on the off door side on the slide, features a sofa that allows more sleeping room and a booth dinette. 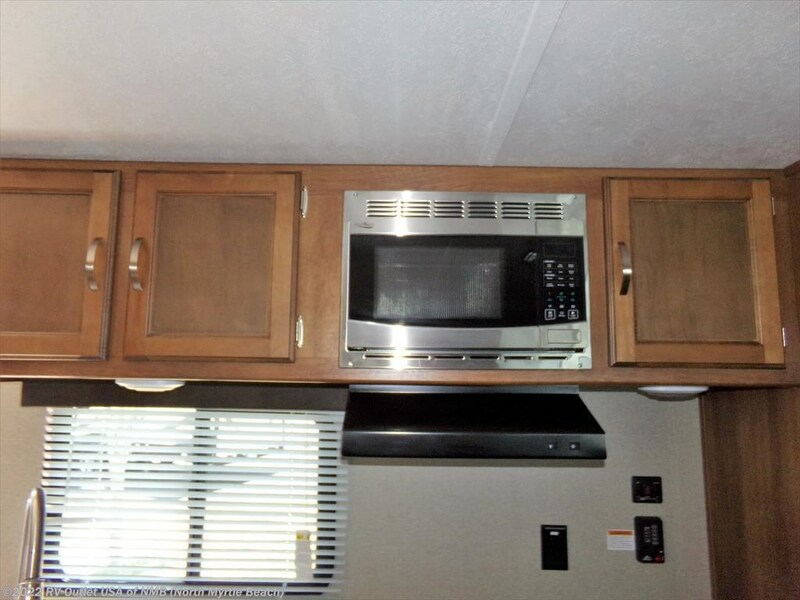 Across from that on the door side is the full kitchen with a refrigerator, stove and microwave. 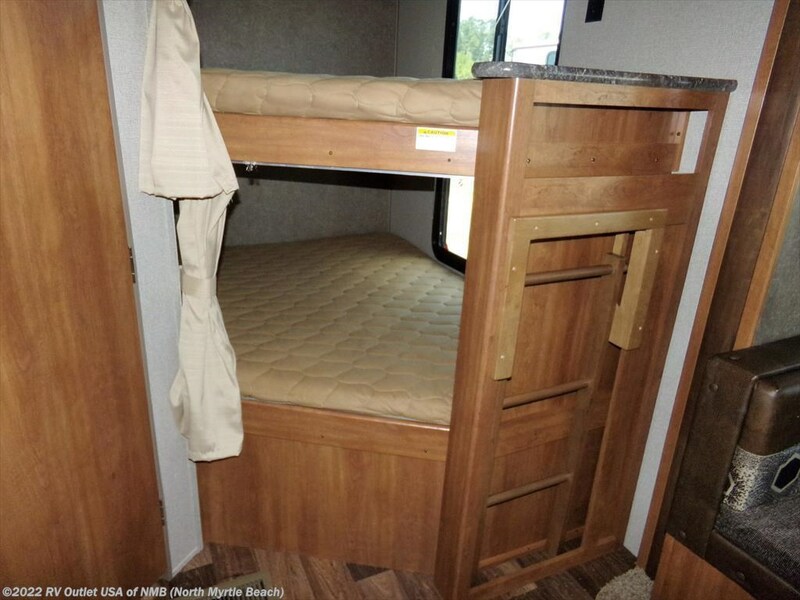 In the rear of this unit features bunk beds for more sleeping accommodations. 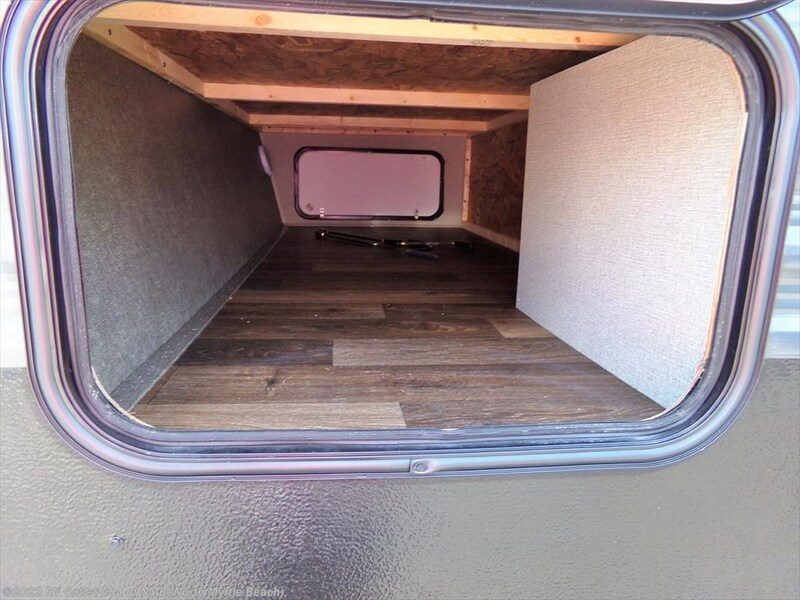 Again plenty of storage space. 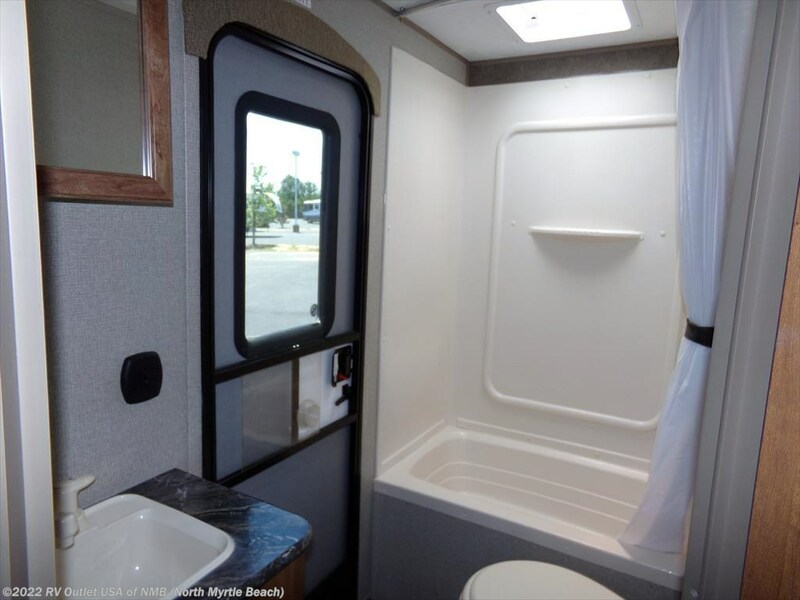 The rear of this unit also offers the bath with shower, toilet, sink and cabinet. 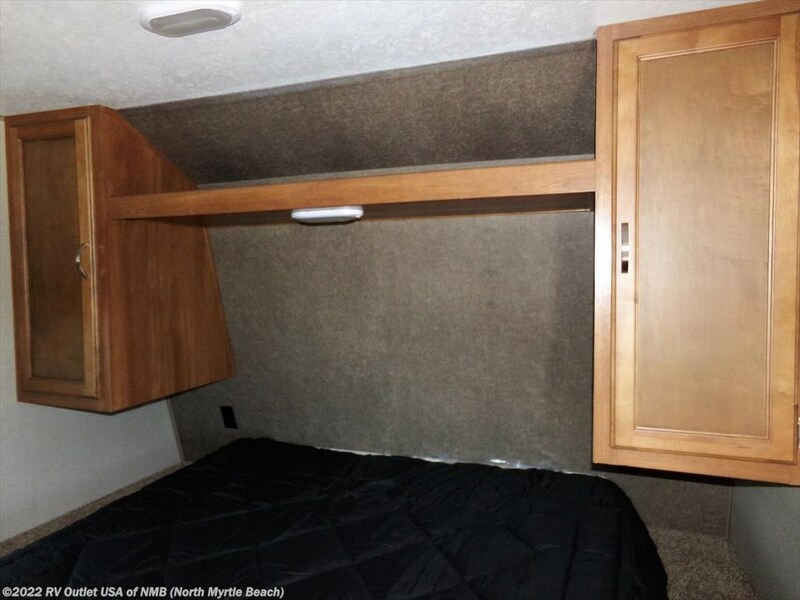 The front master bedroom features a queen size bed and shirt closets on both sides.